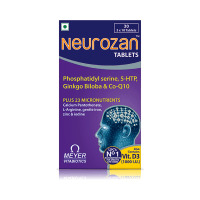 Zopic 0.25 mg Tablet is used in the treatment of anxiety. Take this medicine in the dose and duration as advised by your doctor. Swallow it as a whole. Do not chew, crush or break it. Zopic 0.25 mg Tablet may be taken with or without food, but it is better to take it at a fixed time. Zopic 0.25 mg Tablet is a benzodiazepine. It works by increasing the action of a chemical messenger (GABA) which suppresses the abnormal and excessive activity of the nerve cells in the brain. Zopic 0.25 mg Tablet may cause excessive drowsiness with alcohol. Zopic 0.25 mg Tablet is unsafe to use during pregnancy. Zopic 0.25 mg Tablet is probably unsafe to use during lactation. Limited human data suggest that the drug could represent a significant risk to the baby. 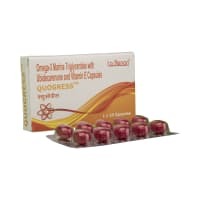 Zopic 0.25 mg Tablet may make you feel dizzy, sleepy, tired, or decrease alertness. If this happens, do not drive. Zopic 0.25 mg Tablet is probably safe to use in patients with kidney disease. Limited data available suggests that dose adjustment of Zopic 0.25 mg Tablet may not be needed in these patients. Please consult your doctor. Zopic 0.25 mg Tablet should be used with caution in patients with liver disease. Dose adjustment of Zopic 0.25 mg Tablet may be needed. Please consult your doctor. What if you miss a dose of Zopic Tablet? If you miss a dose of Zopic 0.25 mg Tablet, take it as soon as possible. However, if it is almost time for your next dose, skip the missed dose and go back to your regular schedule. Do not double the dose. If you are taking Zopic 0.25 mg Tablet for the treatment of insomnia and anxiety, it should not be used more than 4 weeks. Avoid consuming alcohol when taking the Zopic 0.25 mg Tablet, as it may cause excessive sleepiness or drowsiness. The addiction / habit-forming potential of Zopic 0.25 mg Tablet is very high. https://www.1mg.com/otc/jiva-ashwagandha-tablet-otc3299681-1 Tablet after lunch &amp; dinner, Take at least 1-2 months. Pain and tightness in right side of throat I checked my throat from ent he told there is nothing in ur throat .it is just anxiety. U please tell me what to do now. Escitalopram is an antidepressant and clonazepam is for anxiety. I am advised Mexito 5 mg . Any side effectThis is a sleeping tablet ? I am in job. Nexito is an antidepressant/ anti anxiety, it's not a sleeping pill and is generally safe . Sir, I was night sleepless problems, heavy stress. I consulted to doctor, he was given tablate for anxiety 0.5 mg. But I am not satisfied on this tablet. Any best tablet for this kind problem. Dear 1mg-user, we understand your feelings you need counselling, counselling will help you to come out of your problem and many patients are cured and enjoying better life after counselling, but we need to talk to you to take full details in-person or Audio(Phone)/Video before we suggest something to cure your problem. There is saying It is known truth that counselling heal better than medicine ""
Do you have any questions related to Zopic 0.25 mg Tablet? Q. What is Zopic used for? Zopic is used to relieve excess (moderate to severe) anxiety and to treat anxiety associated with depression. It is not to be used for mild anxiety associated with stress of day today life situations. Zopic is safe if used at prescribed doses for the prescribed duration as advised by your doctor. Q. Is Zopic addictive (habit-forming)? Yes, the use of Zopic has addictive potential. Its use is associated with risk of addiction for physical or psychological effects. The abrupt discontinuation of Zopic is therefore not advised to avoid serious withdrawal symptoms. Q. Is Zopic an opioid? No, Zopic is not an opioid, it belongs to a class of substances called benzodiazepines. Q. Is Zopic an anti-depressant? No, Zopic is not an anti-depressant. 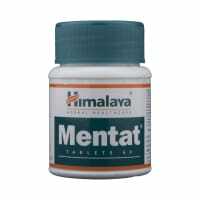 It is used to relieve excess anxiety and to treat anxiety associated with depression. Q. Is Zopic a narcotic substance? No, Zopic is not a narcotic substance. 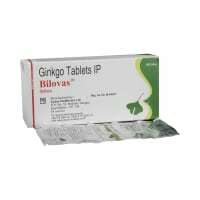 It belongs to the class of medicines known as benzodiazepines and is used for the treatment of anxiety. Q. Can I take Zopic for a hangover? No, Zopic is not indicated for managing a hangover. Rather, Zopic should not be taken with alcohol as both the substances can cause excessive sleep (sedation) and depress your brain. Q. Can I take Zopic for anxiety? Yes, Zopic is used to relieve excess (moderate to severe) anxiety and to treat anxiety associated with depression. It is not recommended for mild anxiety associated with stress of day today life situations. Q. Can I take Zopic for heart palpitations? No, Zopic is not indicated for the treatment of heart palpitations. However, it may help in reducing heart palpitations associated with anxiety. Zopic should always be taken only when advised by your doctor. Q. Can I take Zopic for alcohol withdrawal? No, Zopic is not indicated for the management of alcohol withdrawal. Q. Does Zopic reduce blood pressure? Lowering of blood pressure is seen if you take more than prescribed dose of Zopic. Please consult your doctor if you experience excessive fall in blood pressure while you are taking Zopic. Q. Does Zopic make you sleepy? Yes, Zopic makes you sleepy. Sedation (sleepiness) is a very common side effect of Zopic. Please consult your doctor if you are prescribed Zopic and your work requires you to remain alerted or you drive yourself as it may affect your driving. Yes, Zopic like any other medicine has an expiry date and should not be used beyond the date mentioned on the package. Q. Does Zopic cause weight gain? Change in weight (both weight gain and weight loss) has been reported as a common side effect with Zopic. Please consult your doctor if you experience disproportionate change in weight when you are taking Zopic. Q. Can the use of Zopic cause hair loss? It has not been reported to cause hair loss. Talk to your doctor if you experience this while taking Zopic. As it could be due to some other underlying condition. Q. Can I take Zopic with hydrocodone? Zopic should not be taken with hydrocodone. Zopic belong to a class of medicines called benzodiazepines and hydrocodone belongs to the class of medicines called opioids. Both the classes cause sedation (increased tenedency to sleep) and respiratory depression (slow and difficult breathing). Please consult your doctor before taking the two medicines together. Q. Can I take Zopic with paracetamol? No, interactions have been reported between Zopic and paracetamol. However, this does not mean that no interactions exist. Please consult your doctor before taking the two medicines together. Q. Can I take Zopic with prednisone? Prednisolone may increase the metabolism (breakdown) of Zopic and hence decrease the levels of Zopic in the body which may decrease the effect of Zopic and a higher dose may be needed. Please consult your doctor before taking the two medicines together. Q. Can I take Zopic with clonazepam? Zopic should not be taken with clonazepam as both the medicines belong to the same class of medicines called benzodiazepines. When taken together, they can cause sedation (increased tenedency to sleep) and respiratory depression (slow and difficult breathing). Please consult your doctor before taking the two medicines together. Q. Can I take Zopic with oxycodone? Zopic should not be taken with oxycodone. Zopic belong to a class of medicines called benzodiazepines and oxycodone belong to the class of medicines called opioids. Both the classes cause sedation (increased tenedency to sleep) and respiratory depression (slow and difficult breathing). Please consult your doctor before taking the two medicines together. Q. Can I take Zopic with tramadol? Zopic should not be taken with tramadol. Zopic belong to a class of medicines called benzodiazepines and tramadol belong to the class of medicines called opioids. Both the classes cause sedation (increased tenedency to sleep) and respiratory depression (slow and difficult breathing). Please consult your doctor before taking the two medicines together. Q. Can I take Zopic with ibuprofen? No, interactions have been reported between Zopic and ibuprofen. However, this does not mean that no interactions exist. Please consult your doctor before taking the two medicines together. Q. Can I take Zopic with sertraline? No, interactions have been reported between Zopic and sertraline. However, this does not mean that no interactions exist. Please consult your doctor before taking the two medicines together. Q. Can I take Zopic with buspirone? No, interactions have been reported between Zopic and buspirone. However, this does not mean that no interactions exist. Please consult your doctor before taking the two medicines together. Q. Can I take Zopic for the rest of my life? No, Zopic should be taken only for a prescribed duration at prescribed doses as advised by your doctor. Q. Can I take Zopic for pain? No, Zopic is not indicated for the treatment of any kind of pain. 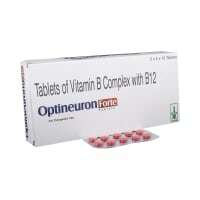 It belongs to the class of benzodiazepines and is indicated for the treatment of anxiety. Stahl SM, editor. Alprazolam. In: Stahl's Essential Pschopharmacology: Prescriber's Guide. 5th ed. New York, New York: Cambridge University Press; 2014. pp. 11-15. Briggs GG, Freeman RK, editors. A Reference Guide to Fetal and Neonatal Risk: Drugs in Pregnancy and Lactation. 10th ed. Philadelphia, PA: Wolters Kluwer Health; 2015. pp. 44-45.